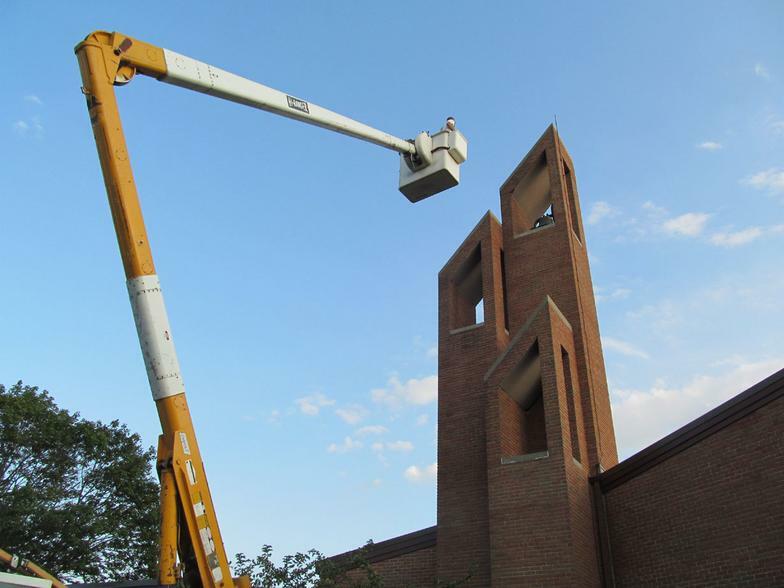 Are you a business, school/college, church or homeowner in need of an aerial lift ? Say, for example - lighting & fixtures / chimney repair / roof repair / Christmas lights etc. If so, we have an affordable and safe option for you. We offer aerial lift truck (60 ft.) w/ operator rental. We come to you, take you up in the lift so you can safely complete the task at hand. Our aerial lift truck is annually DOT inspected by a licensed mechanic, and the boom along with all the hydraulic systems and lines have been fully inspected by Bucket Truck Service (BTS) of Romeo, MI. It is safe, smooth, secure and efficient. Safety harness is provided. Fast & friendly service. Contact Tim @ (989) 859-1727 for info.